These techniques have worked for some but there is no guarantee provided. Use at your own risk. Always make a backup of important files before attempting any troubleshooting. One of the mainstays of troubleshooting Final Cut Pro over the years, when it developed wonky or strange behavior, has been to trash or reset it's preference files to return it to a default state. In prior versions, that required quitting Final Cut Pro and deleting a few preference files, plist files, in the user Library. Or by using a preference trashing app. Upon restarting Final Cut Pro, fresh new preferences were loaded and set the app back to a default state. Over the last week I've been troubleshooting FCPX "sticky Preferences" reported by multiple users. Trashing preferences wasn't working. Old preferences were sticking even after repeated trashings, deleting the Final Cut Pro app and reinstalling it from the App Store. With Mavericks, OSX 10.9, significant under-the-hood changes to preference caching now require extra steps to make sure FCPX preference files are really reset to default. If the FCPX cache files are not properly cleared, they can repopulate new fresh FCPX preference files with old information. Here's the clearest explanation I found on how Mavericks handles preferences. "In Mavericks, preferences are managed by a background daemon, cfprefsd. This service reads the preferences file once, when you first run the app. It then (I believe) receives notifications if you change the program’s settings while the program is running, and then writes them to the actual preferences file at certain points in time. But cfprefsd always has a copy of those settings in its cache, and that’s what the app gets when it checks its settings." For the Geeky, you can search for and find the "cfprefsd" process in Activity Monitor. Trashing preferences should not be a first step in troubleshooting, but should be employed after trying other troubleshooting steps. First let's go over the steps of trashing the preference files manually in the Finder. Write down all of your preferred Final Cut Pro X Preferences settings. 3) Create a new folder on a thumb drive or external drive. Name it "Final Cut Pro X Preferences." 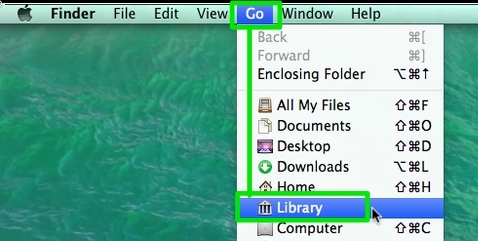 4) In the Finder, press and hold the Option key and choose "Library" from the Go menu. 6) After copying, drag these files to the trash. Empty your trash. 7) Log out of your user account and then log back in. This has worked for some. 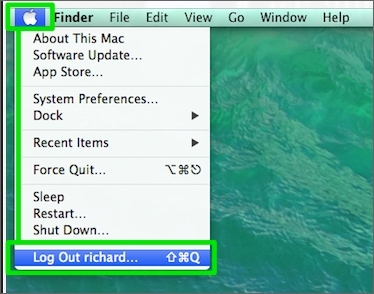 8) Shut down your Mac. Wait one minute (60 seconds). Restart your Mac. 9) Restart Final Cut Pro. You can also try the very handy and free Preference Manager 4 to backup and trash your FCPX preferences. Jon Chappell from Digital Rebellion said: "Preference Manager flushes the in-memory cache to work around this so it is a better option for trashing preferences than deleting the files manually." If you are familiar with the Terminal app in the Utilities folder, there is a command, that in my testing, resets FCPX back to default settings. (Thanks to Jon Chappell and Marco S Hyman @gscycle on Twitter for the heads up on this one). Once you get FCPX running smoothly and have reset your preferences, you can make a backup of your preferences for future restore either manually or with Preference Manager. 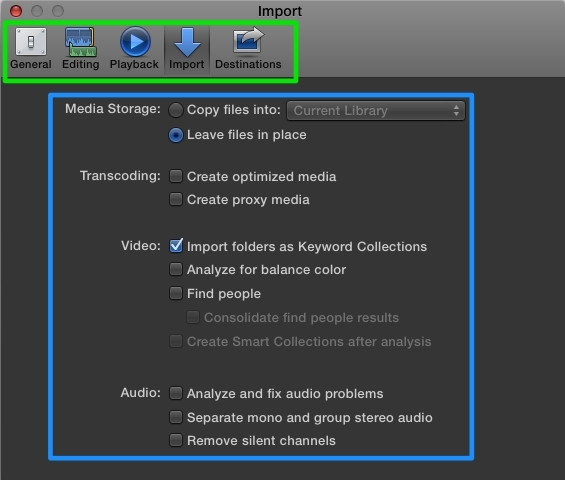 Until Apple gives us an easier way, these new additional steps should clear out the FCPX preference cache in Mavericks. Your FCPX preferences should have been reset to the defaults. Of course you'll now have to reset your preferences to your preferred settings.